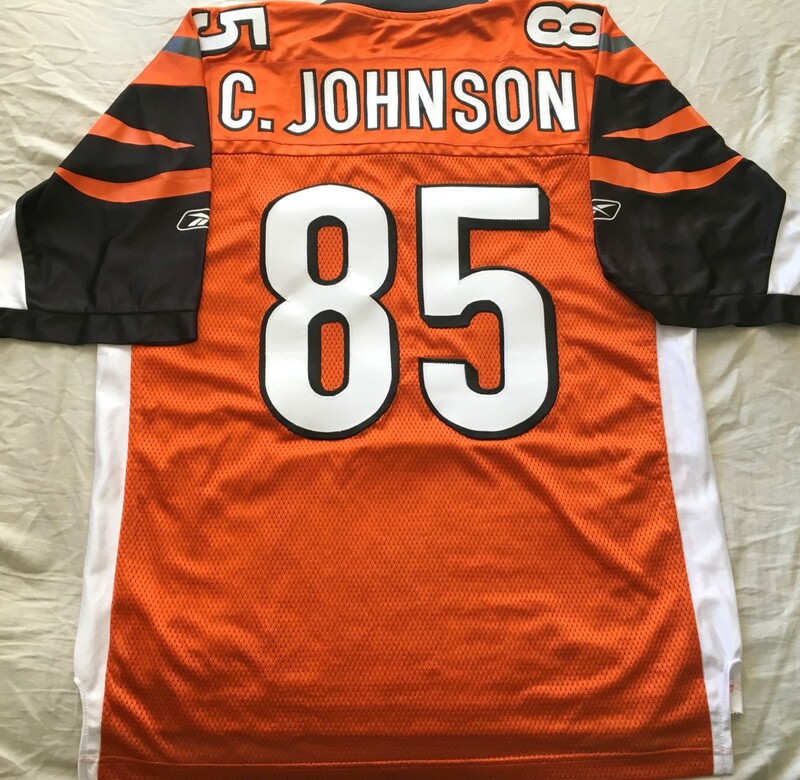 Chad Johnson authentic Reebok NFL Equipment orange jersey with stitched-on double layer cloth tackle twill name and numbers. BRAND NEW, NEVER WORN. Size LARGE. The armpit corner to armpit corner measures about 24 inches. Johnson wore this style jersey during his prime seasons (2004 through 2007). 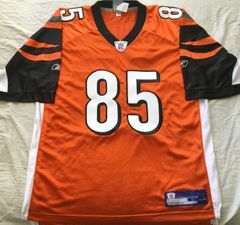 As shown on ESPN Outside the Lines, the vast majority of NFL jerseys sold on the internet are cheap counterfeits made in Asia with vinyl numbers made to look like cloth which is why the numbers look shiny and/or wrinkly. This is a REAL Reebok jersey stitched in the United States. NOT AUTOGRAPHED. ONLY ONE AVAILABLE FOR SALE.